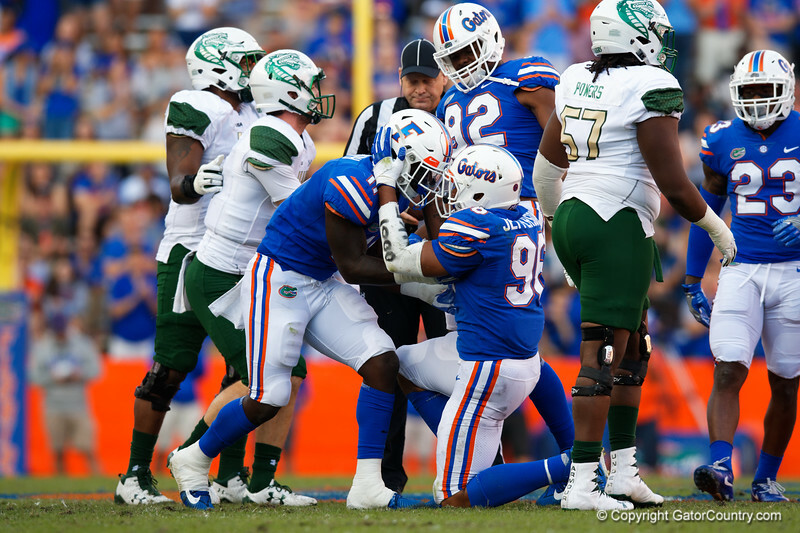 University of Florida Gators linebacker Vosean Joseph and University of Florida Gators defensive lineman Cece Jefferson celebrating during the first half as the Florida Gators defeat the University of Alabama-Birmingham Blazers 36-7 at Ben Hill Griffin Stadium in Gainesville, Florida. November 18th, 2017. Gator Country photo by David Bowie.